Rosa Benedit’s creations are first and foremost grounded in graphics. The designer pores over books in her library, and studies objects in ethnographic museums when travelling abroad. She is also inspired by the material that spontaneously pops up from her daily internet searches according to her chromatic intuition – and of course, her regular walks around the Buenos Aires neighbourhood San Telmo where she has lived since her youth. Rosa was born and grew up in Buenos Aires. She lived and worked in Paris for ten years, from 1990 to 2000, where she studied pattern construction and the history of costume. She worked as a textile maquettiste for Yves Saint Laurent. She was a costume design assistant to Montserrat Casanova working across opera, theatre, circus and ballet and assisted Daniel Cendron in his fabrication atelier. On her return to Argentina, Rosa created the fashion label Benedit Bis with her sister, Juana. The label’s main focus was creating designs using original textiles. Rosa Benedit now lives between Buenos Aires and her house in Colonia (Uruguay), travelling regularly to Paris. Her family background is firmly grounded in art and architecture: her father, Luis Benedit, participated in the Venice Biennale and his work has been shown at MOMA. Luis’ artworks reflect the symbolism of the agricultural world and equestrian culture. Her brother, Julian Prebisch, is a painter and key figure of the new generation of contemporary artists in Argentina. Over two generations during the 20th century, her grandfather, Alberto Prebisch, designed Buenos Aires’ mythic Obelisk, as well as several theatres, public and private residences contributing to the overall renovation of the “porteño” urban landscape. 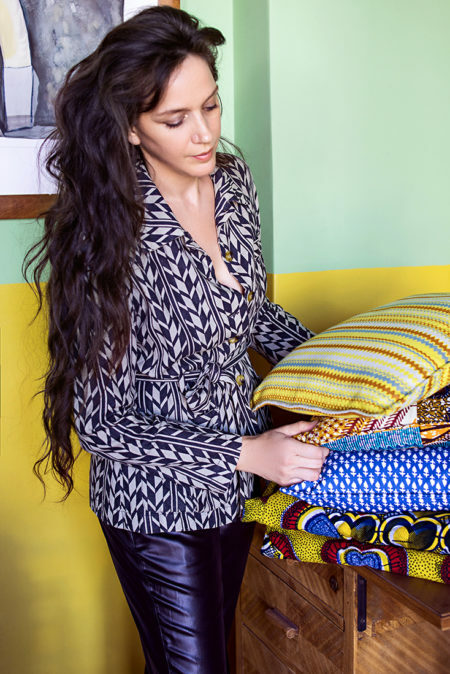 Since 2011, Rosa Benedit has been the Creative Director of her synonymous fashion and interior design atelier. She devotes herself to design and the use of colour in general by applying her talent and experience to personal projects or as a consultant for others.